Once upon a time, in the early nineties to be more precise, there was this group called FAC ("Federation Against Commodore"), which was fed up with the fact that every demo from the Dutch MSX scene was accompanied by music 'borrowed' from well known Japanese games. Surely it should be possible to compose new music on MSX that could be used in demo releases instead! And why not support an obscure, unpopular sound cartridge while they were at it? Half a decade earlier, Philips released the Music Module - an impressive MSX-AUDIO sound cartridge with the Yamaha Y8950 on board. Its OPL1 compatible FM synthesis offered a whopping 9 audio channels, three times more than MSX's default PSG. As if that wasn't enough, they added 32KB ADPCM sampleRAM and a real MIDI interface. For the icing on the cake a special keyboard could be connected. Truly hardware to drool over, at the time. And still, they just had to blow it with something, and so they did. They inserted a ROM with a horrible program on it in which one could play along with some predefined silly tunes. No options to add more. So after one week the first Philips NMS1205 Music Modules were ditched on the attic not to be used again. In every edition of MSX Computer Magazine they were advertized secondhand very cheaply. That, until FAC's efforts resulted in the release of FAC Soundtracker 1.0, that made the prices of those MSX AUDIO cartridges rocket almost overnight. Compared to trackers on other platforms it was perhaps a bit of a crippled tracker, but definitely mind blowing for MSX. Music Modules were dragged from the attics and there was more demand for those cartridges than there were available. Sadly, Philips had abandoned MSX already by that time. Demo groups began creating their own music. Groups that kept ripping music from Japanese games got the famous anti greetings in scroll texts and soon stealing music straight from a game was something from the past. This evolution had to start somewhere. It started out with a few boys from Den Haag, a city in The Netherlands, infamous of it being the political residence. There was this guy BDD who had a drive to make music at a speed impossible to keep up with. Also there was this musical genius Powerrun driving BDD to even more productivity. Reading this very paragraph it must have been within a week Impact, as the boys called themselves, finished Impact Musix Disk 1. It was so obvious the musicians were way faster than their team mates as there was no graphical menu in it. 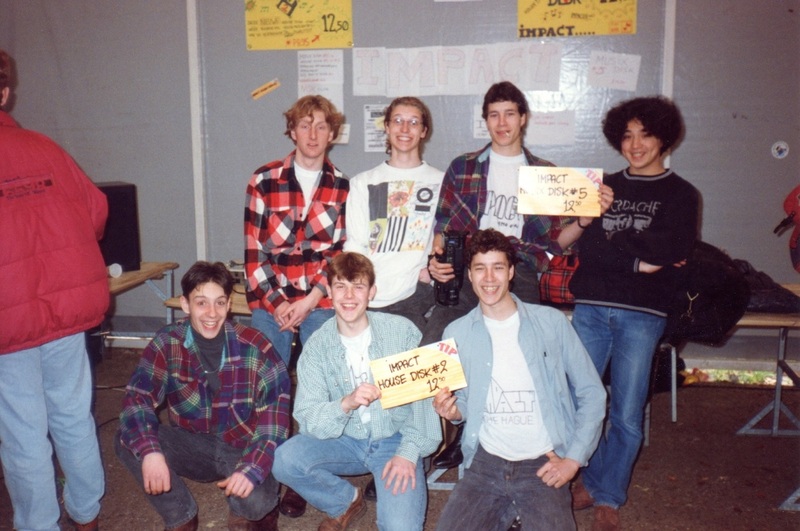 They presented their product to the audience in the autumn of 1991 at the MSX fair in Zandvoort. And with their style and high quality of compositions they set the standard for the (Dutch) MSX scene right then and there. This must also be the first time the fair reviewer of the Dutch MSX Magazines started whining about the volume of music at certain booths. After this first MSX Musix Disk all hell broke loose. Impact released disk after disk after disk. Sometimes more at the same time, sometimes in the wrong order, sometimes with bugs and sometimes (two times) with a complete demo around the music. All the while using FAC Soundtracker's three versions with one sidestep to Typhoonsoft's SCC Musix. Then, after five musix disks, three house disks, one SCC musix disk and two demos they concluded their opus with their end demo, The Ant Demo - A Demo for the whole family. 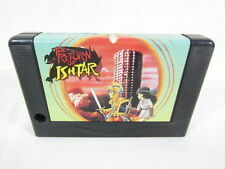 A demo on two disks and with music made in Moonblaster. Trivia: The ones who loaded those files in Moonblaster must have noted that the guys at Impact were not quite comfortable with this new tracker. 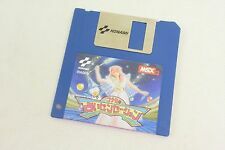 The stormy ride of Impact lasted no more than two years, but they laid down the foundations for a complete new concept in MSX land; the music disk. And, let's not forget, the crazy prices which were paid for the Philips Music Modules. Impact, they left the MSX scene, but the MSX scene never left them. They were still greeted in the demos from the nineties and in both MSX Scene Music Remake Challenges here at MRC Impact was the arranger's "prey" for a stunning six times. For the calculators here, that's indeed 30%. Not because they were the only ones to cover, but because they were special... and provided us with plenty of quality tracks. As of February 2nd this year MRC is running a Pimp my PSG music challenge in which competitors must choose a game or demo tune which supports nothing more than just basic PSG and make of it what they can with whatever soundcard the MSX system has provided us since its birth. And there are plenty to choose from. MRC contacted a few Impact veterans who liked the thought of our request to judge the entries of this challenge. Those few guys set out to find the rest of their friends from the old days and here we are. Impact is reunited as a gang of friends and are planning a reunion as friends. It's always nice to know how one thing can lead to the other. So, a true group of MSX music legends is to judge the entries. Don't be shy and let those guys hear what you're capable of! You can send in your compositions until Saturday, April 30th , 23:59 CET. Nice text! And also nice that BDD is going to judge the entries. I always loved the Impact music. This must also be the first time the fair reviewer of the Dutch MSX Magazines started whining about the volume of music at certain booths. Geez, snout, you had inspiration, I see! Oh wow. Thanks for posting that, journey... I guess... both lovely and embarrassing. At least I learned to get regular haircuts and use gel afterwards. And thanks for the very generous write-up, snout! Makes us look as if we really lived up to our name. So, who is who in that pic? Wow, that where the days. I still remember the huge amount of stress we had, to ensure that we finish the projects ontime. This explains the bugs. I still remember we finished after 24 hours continues work ,I think it was House disk #2, right on time (6 o'clock in the morning) when we found out that we also need to duplicate this disk to 100 discs. Oh.. and what about the labels for these disks?... Too bad, no time left, we had to leave at 7 to be ontime at the fair.. We solved this minor issue by introducing the service: copy on demand, and signed each disc with a black marker. This could be the reason why it was so crowdy at our stand. Mr Bonesy and Snakebyte are not on this picture, but where definitely members of the first hour..
why it was so crowdy at our stand." And as a proof of what HiToft said, here are my copies with the original labels "hand made"
OK, now the real names, if that is allowed? And how are they mapping to MRC usernames? Not sure if real names would be appreciated, but will ask. Puntje puntje puntje is Powerslave. I don't mind adding my real name but will wait for the reactions of the others. I'm not sure, but if this booth was in a tent, then the RMF booth (selling my music disk #1) was most probably left of theirs, behind the red coat. You're welcome, and thanks to you guys! Strange, I didn't see HiToft's post until this morning; hence my redundant identification of Powerslave. Apparently he couldn't see his own post either for a while, but journey could. Manuel, as far as I know only HiToft, bdd and I have appeared on MRC. Their usernames are close enough to their Impact names, and I am Mirage (which is probably not surprising after my previous comments). wolf_, did you release that at the same time as the RMF megademo? Because that would make it Tilburg. The picture looks more like Zandvoort to me though. afaik RMF released the Megademo at Tilburg '92, at the Fony booth (the edition where TFH brought his omnipotent bird spider), and it was at the big hall. 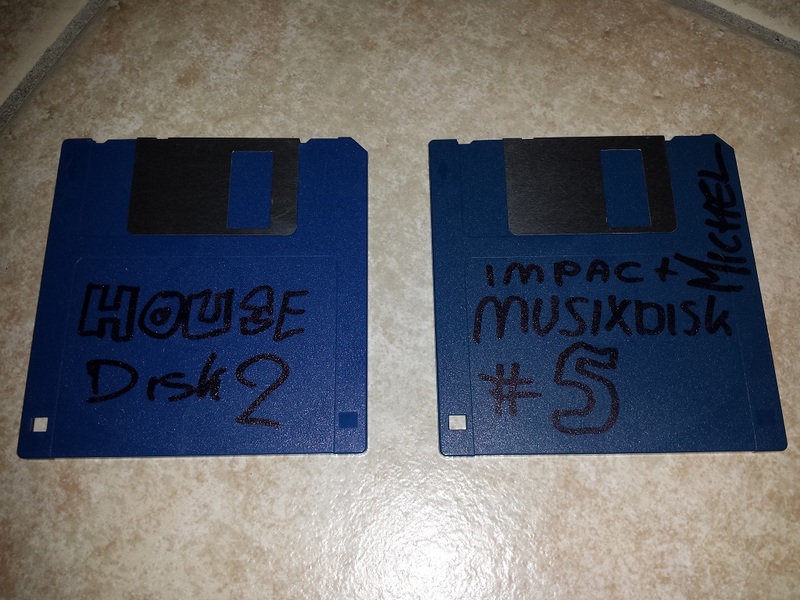 The music disk was released in a tent, located next to Impact. And afaik it was when Impact released Musix #5. Was it a Zandvoort or a Tilburg? Thrill and suspense! Was there ever a tent in Zandvoort? At least Tilburg had a tent. @wolf_: Must have been Tilburg then. Memories are a bit hazy of those days due to the thing HiTsoft mentioned about Heineken. @Manuel: more boring, and a few more white ones. What was that bar named again in the Center of The Hague where you guys spend all that money on Heineken? If I remember right you had to walk down a stairs. Joined you guys a few times around 1992 there and I must say the Heineken was good. I think it was called de Kelder but unsure. Doesn't seem to exist anymore..
Nice to reunite as impact, and we do not even have to make something, only listening and judging. Which is a great responsibility of course... If there will be a second entry. Otherwise we can debate about which section of ‘das piratenboot’ is the best. Either way it will be a lot less stress than the demo/disk-making process as hitsoft already described. On the MRC usernames: Snakebyte also posted here once with a name close to his real name. @-Neo- and Omega: my guess would be 'de bierkelder'. I'd like to hear a pimped version of some of these Radarsoft game tunes. And also of L'Affaire! Or what would happen if Konami would have had FM instead of SCC? For Uşas? Those are some sweet suggestions, Manuel. I wish you had brought them up a little sooner. Because, I already have done some work on something for this. Please don't expect too much of it.